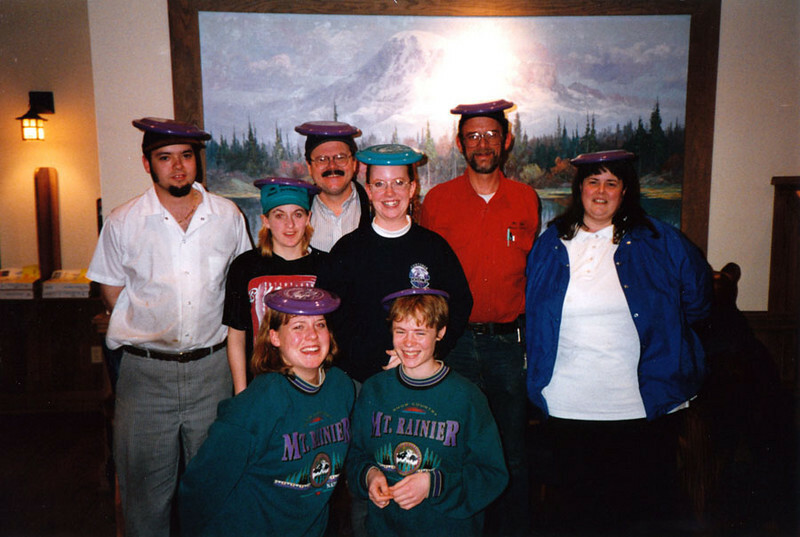 Molly and Harmony bought and endorsed all these purple Mount Rainier souvenir Frisbees and gave them to us as season going-away presents. We were all very touched. I still have mine hanging up.